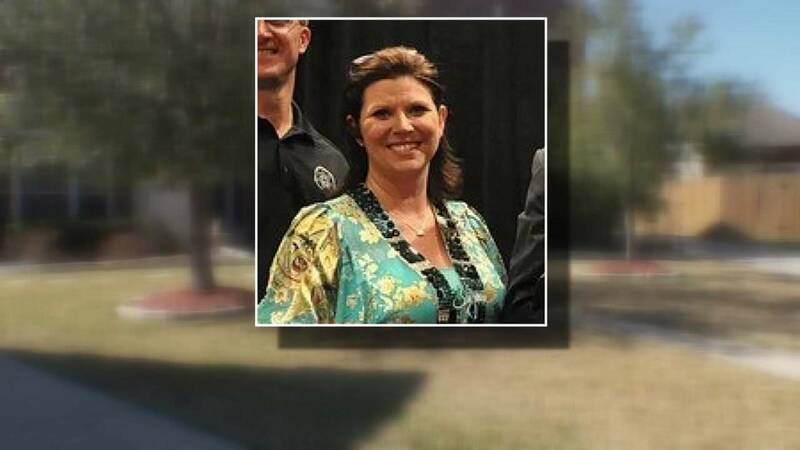 HOUSTON (KTRK) -- The widow of a Harris County Sheriff's deputy who died in the line of duty is now a wanted woman. Cathy Hill is accused of stealing more than $100,000 from the Harris County Deputies Organization. Hill was once the union's office manager. Court documents allege that Hill stole money between 2012 and 2014. Hill is the widow of Deputy Barrett Hill, who died in the line of duty in December of 2000. Since that time, Hill has lived in a well kept, gated community in Spring. Neighbors say she regularly hosted parties at her home in honor of her fallen husband. "I mean it's surprising, I would never have thought she would have done that. She was close with all the officers," said Jaz Thompson, who lives next door to Hill. In a statement, the Deputies Union discussed the firing of Hill. "In May of 2014 irregular financial activity was detected. The irregular activity led to the termination of the Organization's then office manager in early May of 2014. Information about the irregular activity was turned over to the Harris County District Attorney's Office which has resulted in the current indictment of our former office manager. At this time no additional information can be provided due to the ongoing criminal litigation." After being fired from that job, Hill apparently packed up and moved out of town. Neighbors say they had no idea a criminal investigation was going on. "She didn't say anything. We just seen a moving truck and that was it," said Thompson. "We just thought they were moving. Everybody had graduated." Sources tell Eyewitness News that Hill is now living in Virginia, and is apparently making arrangements to turn herself into authorities.